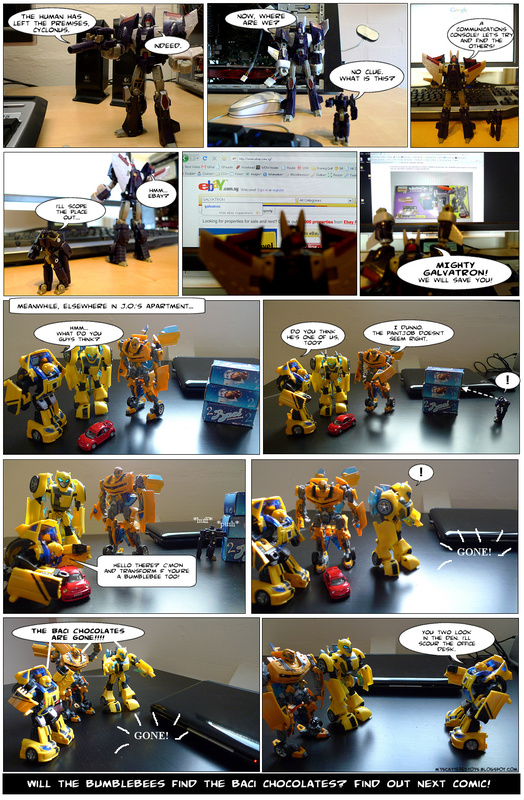 About two years ago, I started making comics about my Transformers toys, mostly posting them on Facebook for only my friends to see. 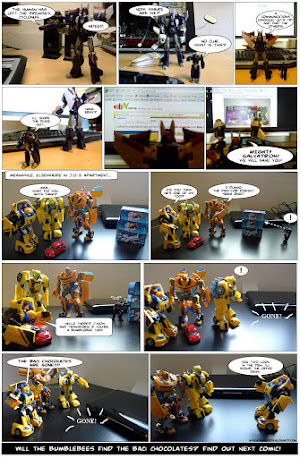 For lack of a better name, I called the series of comics "My Toys are Alive". I stopped after a few comics, though, but I think I shall pick up the story again after I'm done reposting the completed ones here. Before you start reading, though, know that light booze and candy addiction, as well as some "grownup humor", may appear in these comics. You can click the mini version of the comic below to see the larger, more readable version. Enjoy!